Will Denver Save Lives By Expanding Its Tiny Red Light Camera Program? The City Council voted Monday to continue and possibly expand the Denver Police Department’s electronic traffic enforcement program over the next five years. 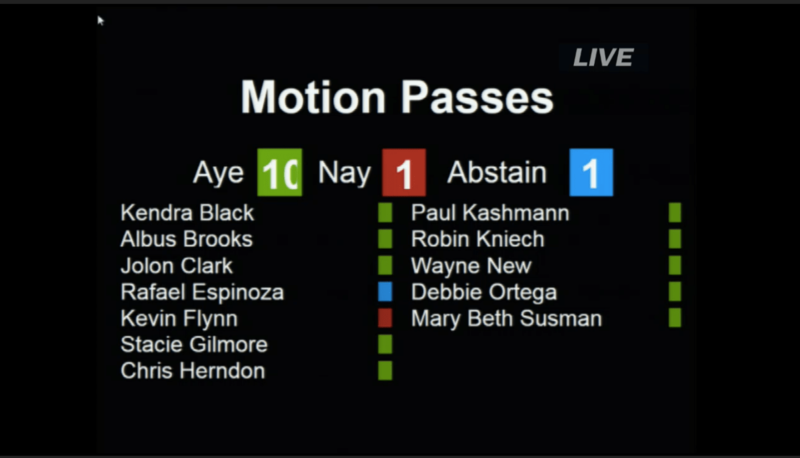 The 10-1 vote with one abstention approved a $6.6 million contract with the operator of the cameras. Red light cameras save lives. A study of dozens of American cities conducted by the Insurance Institute for Highway Safety estimated that the cameras reduce the rate of fatal red light running 24 percent. The size of the current program is peanuts compared to cities with similar populations. Seattle has cameras at 31 intersections and Washington, D.C., has them at 47. While the contract allows the city to expand the number of intersections with red light cameras, it remains to be seen whether the city will do so. The contract does call for newer camera technology that will make it easier to move them from intersection to intersection. That means the city will have greater flexibility to place cameras at dangerous intersections, instead of being locked into static locations that may not address the most pressing public safety risks. The one vote against the program came from Councilman Kevin Flynn, who said the yellow phase at signals should be lengthened instead. Flynn’s argument is that the city should set up traffic signals to accommodate speeding drivers instead of ticketing them. Kashmann said speeding needs to be brought under control, not catered to. “If people are driving too quickly then we need to employ whatever traffic calming measures that we can, whether it’s electronic signs telling you how fast you’re driving, whether it’s striping, narrowing lanes, whatever, we need to address it to control the speeds,” Kashmann said. As long as cars have time to stop from when the light turns yellow when they’re traveling the speed limit then that’s fine. No allowances for speeding should be made. You know there’s “standards” out there for this calculation.